We, STEEL INDIA are an ISO 9001:2008 Certified Company and take this opportunity to inform that we are the proud owners of the much valued & latest machine in technology of Laser Cutting & Waterjet Cutting. We, STEEL INDIA are an ISO 9001:2008 Certified Companylocated at baroda having latest machine in technology of Laser Cutting and Waterjet Cutting.. This cutting edge Technology machine has the superior combination of the highest efficiency and unmatched level of quality in cutting parts of more than 200 varieties of materials from Stainless steel to titanium, carbon fiber to composite materials, industrial gaskets to rubber, granite to ceramics, glass, marble, foam materials …, almost any Natural or Man Made Material – metal, stone, plastics and much more up to a thickness of 200mm, with superior quality. This Laser Cutting & Waterjet Cutting Machine helps in cutting all types of materials, big or small, flat or curved, complicated or straightforward, thick or thin. We have the appropriate water jet cutting equipment backed by the experience and expertise to deliver your goods. To meet your unique cutting demands, our services are supported by a skilled technical department working on advanced systems, enabling us to ensure the most accurate part cut with uniquely reliable performance with Repeatability of 0.002" (0.050 mm) for mass component cutting. 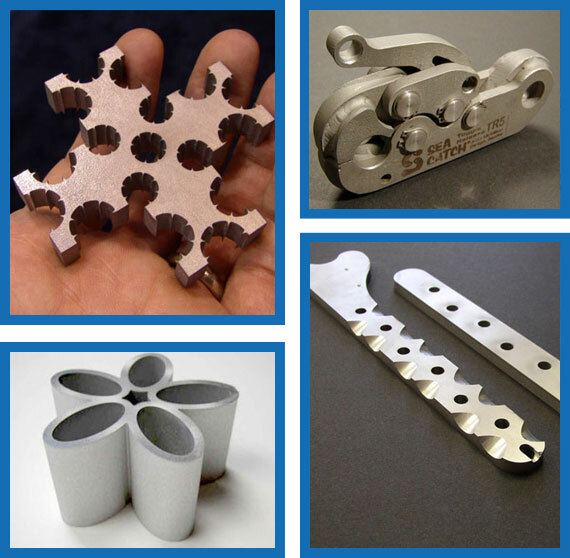 Our Abrasive Waterjet Cutting machine not only have the power to revolutionize the component cutting processes but also helps redefine what's possible in manufacturing from medical to energy to defence and everything in between. We have invested in this latest updated technology to offer wide cutting range of materials to our valuable customers like you. When you work with us, we can take your Drawings / Designs / Blue Print Drawings / Dxf files / Dwg files, .jpg or a sample and provide you with the final components with such precision & delicacy that no one can match. Our passion for service is what makes us so distinct and our continued investment in the very latest technology means your product is being cut to the very highest standards, arrives on time and at a price you can afford. We are the standard bearer for technological excellence in an industry driven by innovation. Motivated by the success, we are committed to the continuous development of affordable equipment that is as precise, easy to use and reliable as conventional machine tools. Fabricators looking for an affordable part production solution have met their match with us. We are on a path of rapid expansion across all these segments, with the target of national & international market. With a sharp focus on continuous improvement, Steel India applies customer-focused processes and meets their customized needs across all business lines.